It’s easy enough to think that within the sealed confines of your car, you are safe from all of the various pollutants in the air. The truth, however, is that you are still at risk for dust, bad odors, smoke, and pollution-ridden air from the outside inside your vehicle. This can make your car ride a lot more unpleasant as it can lead to sneezing, coughing, or just simply having to deal with a bad smell. Fortunately, car air purifiers have shown a lot of promise in helping to combat poor air quality inside vehicles. So, by plugging one in, you are sure to be able to solve a lot of your problems. Of course, the real test is to find the best car air purifier for you. Considering all of the factors involved in choosing one, this isn’t the easiest thing to manage. Capability: there is not much use in having a purifier that doesn’t work. This is why we closely monitored just how effective each model was at improving the quality of the air inside the car. Technology: there are different types of air purifiers to choose from. The main difference between these devices is often the type of technology that they rely on to purify the air inside the vehicle. So, we analyzed the mechanism behind each model to see how well it worked to improve air quality. Usability: we also examined how easy it was to setup and use the car air purifier. This included how well it could be stabilized inside the vehicle so that it didn’t move around while driving. Now, let’s move on the products that we found to be exceptional car air purifiers. Why we like it: The Nova 2-in-1 Car Air Purifier uses ionic technology to combat a variety of pollutants while also sporting a user-friendly design. 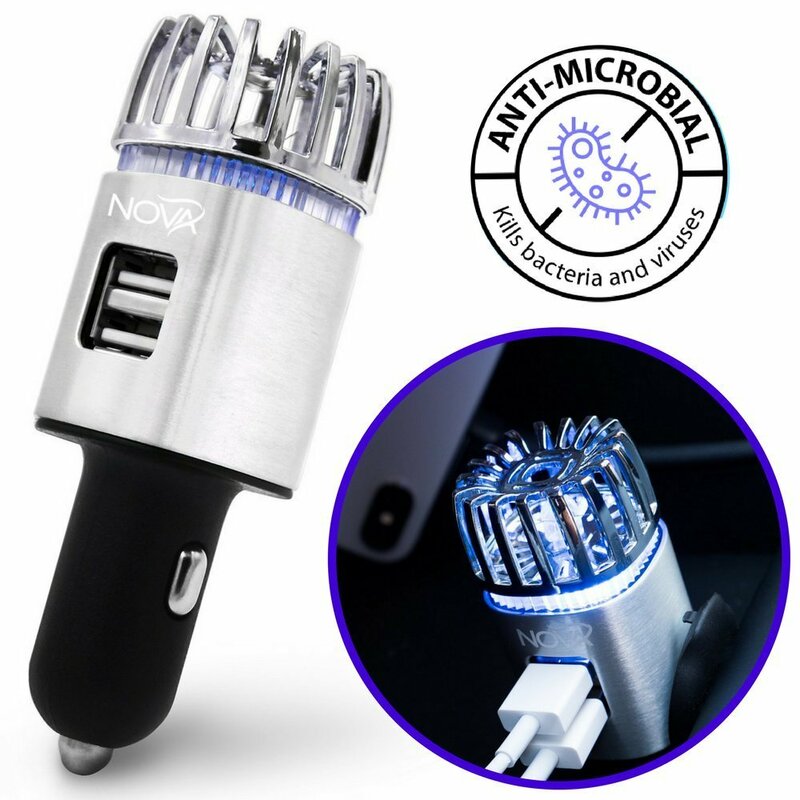 The Nova air purifier is meant to get rid of dust, pollen, and dander floating in the air while also neutralizing the smell of smoke and other offensive odors in your vehicle. So, the question is, just how well does this purifier manage to do this? Well, this car purifier emits 5.6 million negative ions for every cubic centimeter inside the vehicle. These ions attach themselves to any particles that are floating around in the air and cause them to drop to the floor. When this happens it isn’t as easy for you to inhale these pollutants. To cut down on odors, the purifier produces ozone. 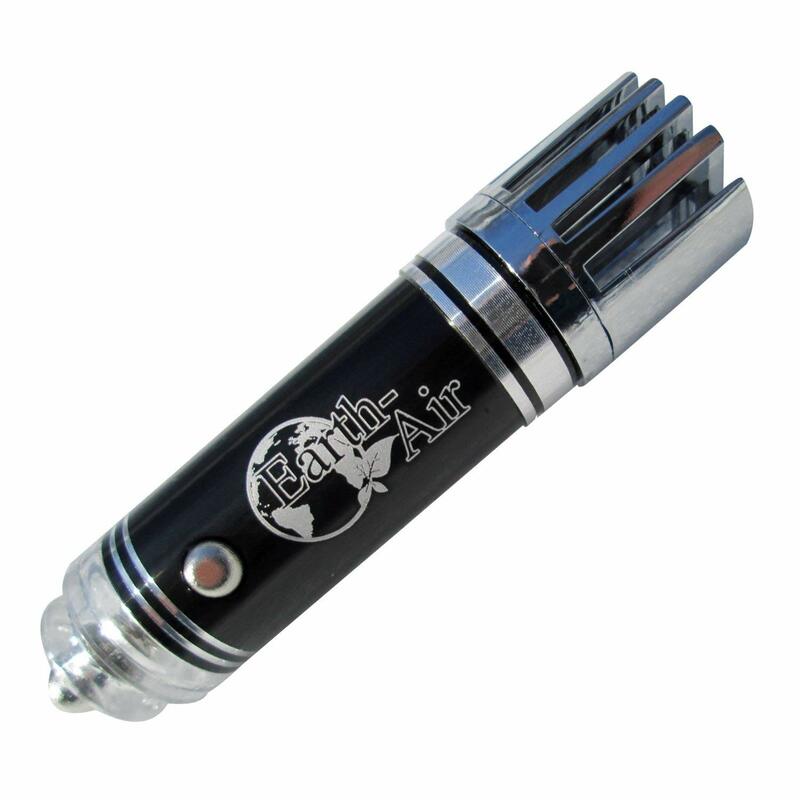 This helps to get rid of all types of smells inside your car whether they are from cigarette smoke or stale food. In terms of effectiveness, the Nova purifier seems to be more active against smoke and odors. However, it doesn’t seem to help with airborne related allergies too much. It really doesn’t get any easier than using the Nova purifier. All you need to do is to plug the device into your car adaptor port and it will start working immediately. It is also an incredibly low maintenance air purifier. This is largely to do with the fact that it doesn’t contain any filters that you have to fill out. You, like most people, probably use your car adaptor to add a USB outlet to your vehicle. Well, the good news is that you don’t have to choose between additional USB ports and purified air. This is because the Nova car purifier comes with two ports that you can plug a variety of devices into and power them up. Why we like it: The Air Oasis AA250NGFU Air Purifier works incredibly well to get rid of airborne microbes and also has customizable settings. What the Air Oasis car purifier is really good at is getting rid of allergens and germs that can be found floating around in the vehicle air. This is why it works particularly well for anyone who suffers from allergies to airborne particles. Within a short period of time, you will be able to notice that you are able to breathe a lot better. Also, because the purifier is responsible for killing germs it can also mean that you will be less likely to get sick. Now, it should be noted that this ionizer produces ozone in order to be able to offer microbial protection. This, unfortunately, is accompanied by a rather strong ozone smell. Within the confines of a car, this can prove to be quite difficult to bear. One of the main advantages of the Air Oasis car purifier is how easy it is to set up inside a car. See, it is equipped with an adhesive base which lets you stick it onto any flat surface. This way, you don’t have to worry about the device moving about while you are driving. As far as maintenance goes, there isn’t a lot for you to do. Now, this purifier does rely on a battery cell that will need to be changed every so often. However, the purifier will use different colored lights to let you know when it requires a battery change. One of the best things about this car air purifier is that it has customizable settings. You can choose to change the settings for both the ion generator as well as the fan. So, depending on how dirty the air is or how big your car is, you can choose the settings. Why we like it: The Luoyiman portable air purifier works to quickly and effectively get rid of germs and odors that may be lingering in your car’s environment. For the most part, ozone generators such as this Luoyiman air purifier tend to quite effective against odors. This is because it eliminates any smells such as smoke, stale food, and pets. Now, this air purifier certainly does that and within a short period of time, you will be able to notice that your car smells fresh and clean. Interestingly enough, though, this purifier works well against other dust and allergen particles in the air. This means that if you suffer from allergies, you are going to be able to find relief quite quickly. Now, as you know, the ozone production of these type of purifiers can cause concern. Fortunately, though, this purifier self-monitors the levels in the environment, ensuring that they stay at a safe and comfortable level. That being said, this purifier may not be suitable for people with certain respiratory issues. The only slight inconvenience with this air purifier is the fact that it needs to be charged before you can use it. However, once it is fully charged, it can run for a day and a half without stopping. The air purifier is also easy (and cheap) to maintain because you don’t have to keep buying new filters for it. This air purifier is equipped with its own power-saving cycle. This means that it is able to work effectively while also ensuring that as little power as possible is used up every time it sanitizes the air. When it is not in use, it goes into standby mode so that the battery isn’t wasted. Why we like it: With the iDOBBi Car Air Purifier you can get rid of dust and other allergens while also eliminating a variety of smells in your vehicle. Now, for the most part, what this air purifier does best is that it eliminates a number of smells from your car. It works particularly well on odors that linger such as cigarette smoke or the smell of your pets. So, if you are having a tough time getting rid of odors another way, you will find that this purifier is incredibly effective at this. The other good news is that though the purifier relies on ozone to do this, the ozone levels within in the car are minor. This is not all that the purifier does, though. It is actually quite good at eliminating allergens from the inside of the car as well. So, if you suffer from any allergies, you are going to notice that you can find relief from your symptoms. The only real issue with the way that it functions is that you have to wait a while before you are able to really feel the effects of the purifier. You don’t have to master any skills with this air purifier at all. It is just a matter of plugging it into the cigarette lighter and waiting for the results to kick in. One of the great things about this purifier is that you don’t have to worry about turning it off or about it running down your car battery. Once the car is turned off, the purifier stops working automatically. As far as maintenance goes, the purifier doesn’t require any additional work on your part. 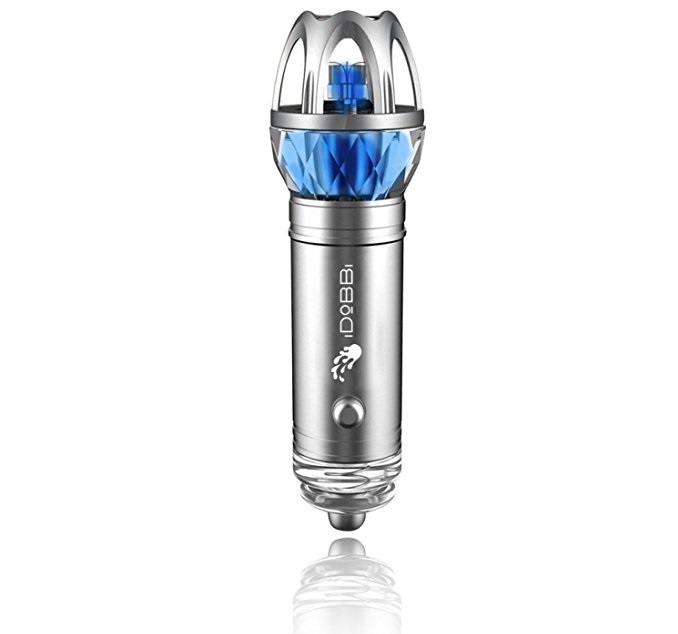 The iDOBBi car air purifier emits a blue LED light which lets you know that it is working. The LED light also adds a nice, luxurious touch to the purifier as well. 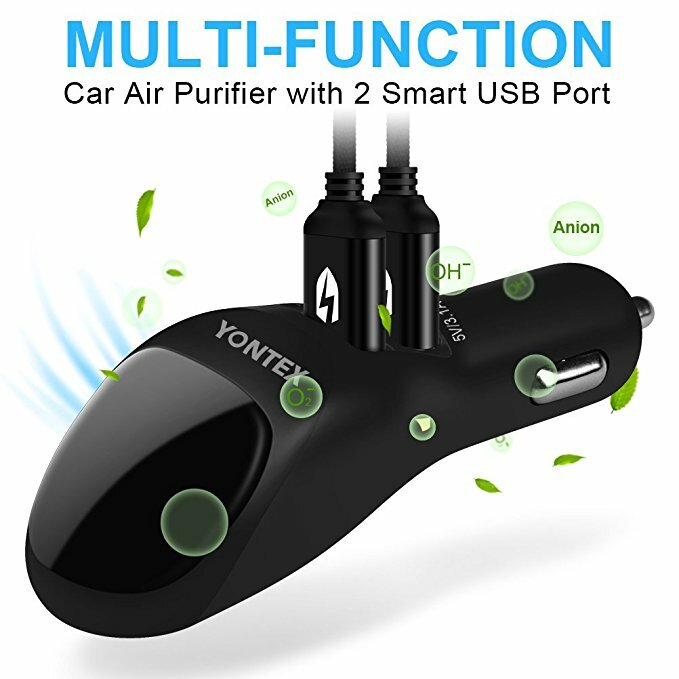 Why we like it: The YONTEX Car Air Purifier is a great modern accessory for any car, largely thanks to its impressive sanitizing features. There is an impressive number of ions generated by this car air purifier. Per cubic centimeter, you can expect up to 3 to 5 million negative ions to be released into the air. This means that they are able to bond to a greater number of microbes and dust particles, decreasing how many allergens remain in the air. As a result, you are going to find it a lot easier to breathe in your car. This is especially true if you tend to suffer from allergies. In addition to the air quality, you will also get to experience a much cleaner smelling car interior. This is because the ozone that is emitted alongside the ions will get rid of any unpleasant smells. At the same time, you can feel comforted knowing that the ozone levels are only minor. All this car air purifier requires is that you plug it into the adaptor portion of the vehicle and it will start working. It is only when you unplug it that it will discharge. Unfortunately, if you hit a bump in the road, the purifier can be dislodged and stop working. There is absolutely no maintenance required from you which means that the purifier will continue to work silently for as long as you need it to. What’s nice about this purifier is that it is equipped with two USB ports that allow you to plug in and charge a variety of other devices. There is also an LED screen on top of the device which monitors how much power is flowing into the purifier at all times. 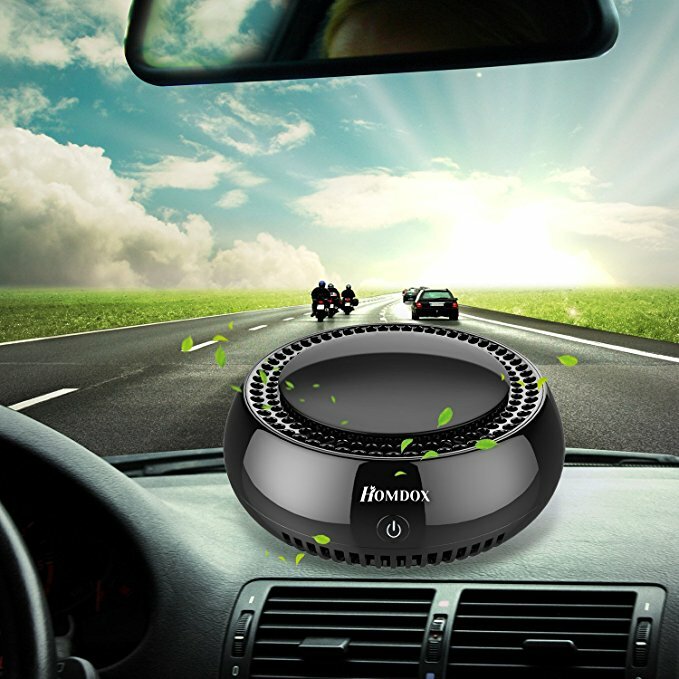 Why we like it: The Homodox Car Air Purifier relies on HEPA filtration and activated carbon to effectively remove both allergens as well as odors. If you suffer from severe allergies to airborne pollutants, then you are going to require a more effective form of filtration. Well, this is where the HEPA filtration system for this air purifier comes in. This is because this feature physically removes dust, pollen, and other allergens from the environment. So, you don’t have to worry about breathing these things in. That’s not all the benefits that you can experience with this purifier, though. It is also great for removing odors thanks to the carbon activated function. Combined, the two features of this system ensure that both large particles and small particles are effectively removed from the inside of the car. This way, you get to enjoy a clean and fresh car interior for a longer period of time. Despite its complex workings, it is actually quite easy to work this purifier. All you have to really do is to switch it on and watch the device work its magic. It actually has several speed modes that you can choose from, depending on how bad the air quality is inside the car. Now, the only real downside with this device is how difficult it can be to keep this purifier in the car. It is large and easily dislodged. Now, because the air purifier relies on a HEPA filtration system, it contains filters. Ideally, these will need to be changed every six months so that the purifier can continue to work properly. What really sets this purifier apart from the others is the fact that it monitors the overall quality of the air inside the car. This way, it lets you know with the help of colored lights, whether the quality is good or poor. Why we like it: The Mooncity Car Air Purifier works quite well to get rid of germs and microbes in the air while also eliminating any lingering odors. 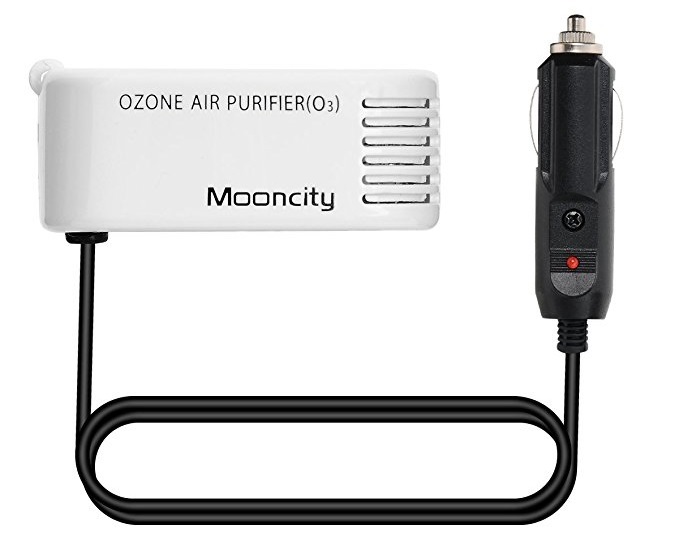 The Mooncity car air purifier uses ozone to neutralize any germs that might be in the air. Due to this, you can get rid of allergens as well as many airborne disease-causing agents. Thanks to all of this, there is a good chance that you will notice a significant reduction in how much you get sick after using it. Despite the ozone output, you can rest assured that the levels emitted are perfectly safe for anyone in the vehicle. It is also quite good at getting rid of any odors that may seem to be permanently stuck in the car. Not only are you able to eliminate these unpleasant smells, you are also able to replace them with a clean and fresh scent. Now, the only disadvantage here is that this purifier doesn’t appear to work as effectively in a larger vehicle. This can mean that you don’t get to experience the same results as with a smaller car. While there is a little more of a setup involved than with other purifiers, it will only take you moments to have this device up and running. You will need to plug it into the car adaptor and then place the purifier in the air vents. There is actually no real maintenance required with this purifier. Since there are no filters or similar components, the device will continue to work without any interruption. 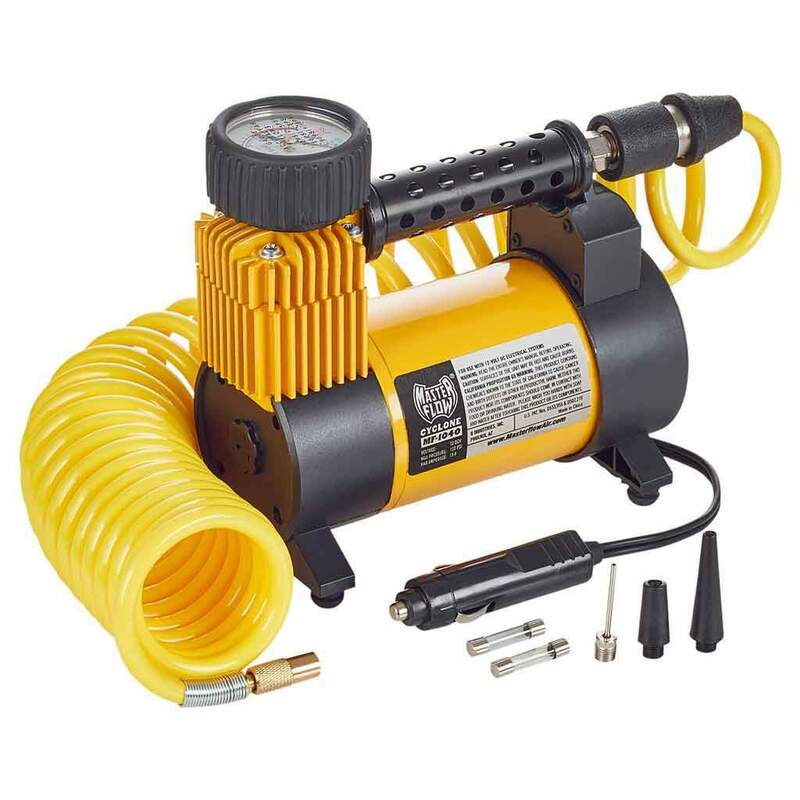 In case you are afraid that this purifier is going to drain your car battery, don’t be. This is because it has low power consumption ensuring that you are going to notice any adverse effects from this device. 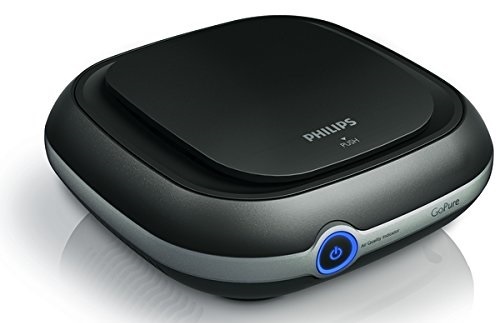 Why we like it: With the Philips GoPure Compact 200 Car Air Purifier, you get to enjoy the dual effect of both a HEPA and HESA filtration system for better results. As far as air sanitation goes, this Philips air purifier really goes above and beyond in its purification attempts. This is because the device has a three-step filtration system which means that almost all the dust, germs, and allergens will be removed from the interior of the car. What this system ensures is that both the large and small particles in the air will be removed. This makes it especially useful for anyone who suffers from severe allergies and wants quick relief. The HESA filter helps to get rid of any bad odors that may be present inside the car. It is particularly good at removing the strong or lingering smell of smoke and tobacco. So, if a heavy smoker uses the car, you can ensure that you will be left with a fresh and clean scent. One of the only real flaws with this purifier is that it doesn’t work all that well on a low setting. Also, when compared to other models, this is a pricey option. It is quite simple to set this purifier up in your car. 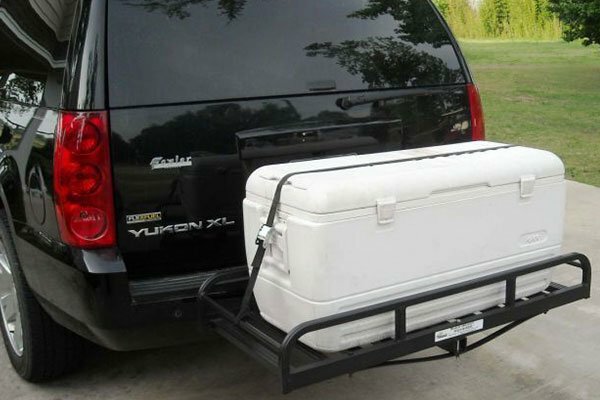 This is because it comes with all the mounting equipment that you need to keep it stabilized inside your vehicle. This means that the unit can be up and running in no time at all. It is easy to use especially considering that it turns on and off by itself. Now, this purifier does have filters that need to be replaced every so often. Fortunately, it comes with a replacement indicator so that you know exactly when you are supposed to do this. This air purifier is equipped with an air quality monitor. With the help of colored lights, you will be able to know if the air inside your car is clean or not. 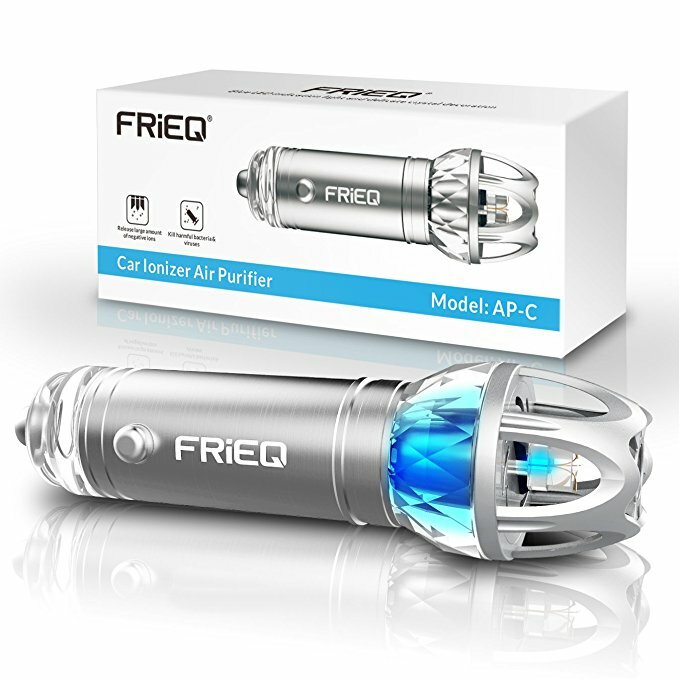 Why we like it: The FRiEQ Car Air Purifier releases a large number of negative ions into the air to combat dust, debris, and various odors. 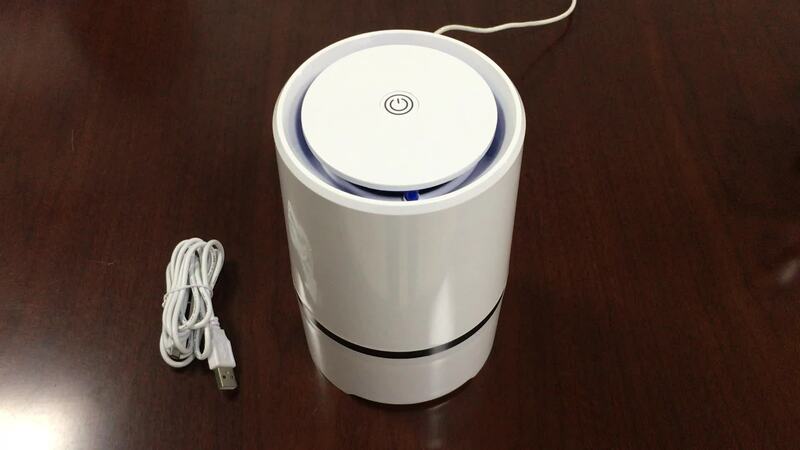 The FriEQ air purifier works on ionic technology, much like many of the other purifiers. What makes this purifier stand out, though, is that it produces a considerable number of ions for such a small device. In total, it can send out up to 4.8 million ions. This means that there is a greater chance of capturing all the debris in the air and causing it to fall to the ground. This air purifier also works rather well with various types of smoke. You simply have to leave it running for a while and you will notice that any type of smoke smell will disappear after a while. It is even effective against strong scents. This makes it a good option for people who want their car to smell fresh even though they are heavy smokers. This is a fairly easy air purifier to use. You just have to place it in a cigarette lighter holder and it will begin working immediately. The only disadvantage here is that this purifier doesn’t fit well in all makes and models of vehicles. Due to this, when you hit a pothole or take a turn, the air purifier can fall out of its place. In terms of maintenance, though, there isn’t anything that you have to do. The air purifier doesn’t need to be cleaned or tweaked in any way. If you don’t want your air purifier to act like a typical electronic device, then this model will be a good option for you. This is because it is beautifully designed with a crystal layout and a blue LED light. This makes it quite pleasant to look at and also makes it ideal for a luxurious car interior. Why we like it: The Earth-Air Car Air Purifier is a compact yet effective device that helps to deal with minor odors and debris in the air. 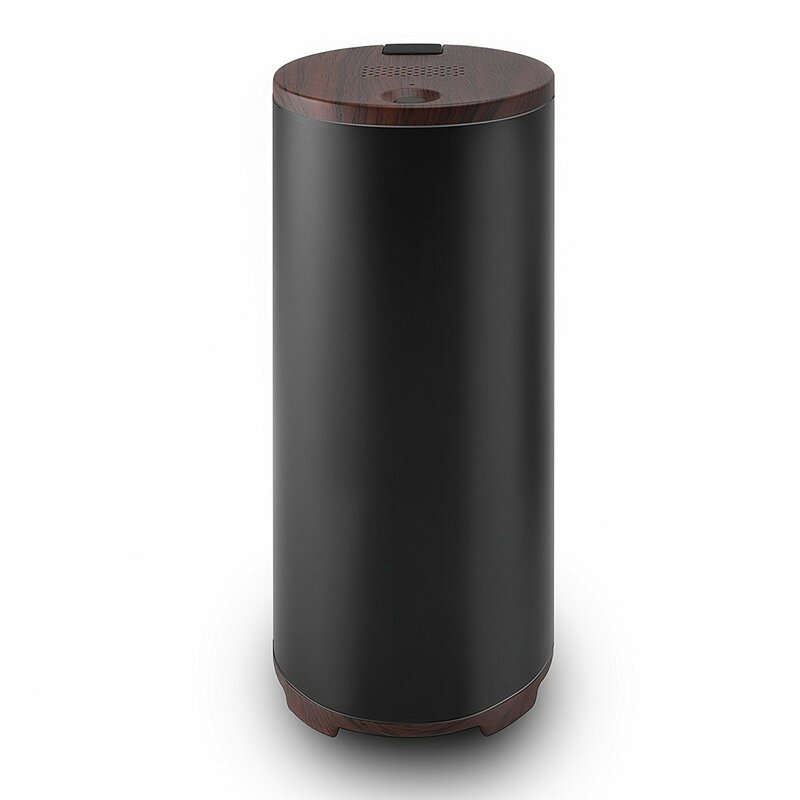 The Earth-Air purifier uses negative ions to capture the various particles in the air and to weigh them down. Now, one of the most noticeable things about this particular purifier is that it is incredibly compact. This means that while it is effective at producing negative ions, there is a limit. As a result, you can’t really expect a huge change in the air quality in your car, particularly if it is a larger car. This purifier is great for getting rid of minor odors and pollutants. However, if the air quality in the car is quite poor, you may find it difficult to make any real changes, armed with just this purifier. You will find that you don’t need any instructions in order to use this air purifier. It is simply a matter of placing it in the cigarette lighter and it begins to work immediately. This is what makes it a good option for emergency situations – you can easily store the purifier anywhere. As for maintenance, there really isn’t anything that you have to do. The purifier doesn’t contain a filter or similar components so you don’t have to clean it out or change any of the parts. The Earth-Air car purifier has received several certifications for its design and function. It has been accredited by the FCC, CE, and RoHS. So, although you may not feel the impact of the purifier too much, you can still be sure that it is getting the job done. The first thing that we need to discuss is the various types of air purifiers available. Now, as mentioned earlier, purifiers can be categorized according to the technology in place to sanitize the air. In this case, the three most common systems are ion generators, ozone generators, and HEPA filters. Ion generators are responsible for producing negative ions. Once these are emitted, they will stick to various particles that can be found in the air. These include dust, pollen, and even microbes. At this point, the particles will become a great deal heavier and be unable to stay airborne. They will then fall to the ground where it is unlikely that you will inhale them. One of the great things about these generators is that they are simple to setup and don’t cost much. However, as you can see, they don’t actually filter the dirt out. So, it is important to follow this up with a thorough cleaning of the car. For an ion generator to be truly effective, it is going to need to generate quite a high number of ions. So, when looking for this type of air purifier, look for greater ion output. There is often some confusion between ion generators and ozone generators. This is because, with ion generators, there are small amounts of ozone produced. However, with ozone generators, ozone is the only thing that is released. Now, ozone is something that is found naturally in the environment. However, with these purifiers, the concentrated amount is much higher. Typically, ozone is used to eliminate odors, leaving a clean and fresh scent behind. They are also quite good at getting rid of microbes and germs. The main issue with ozone is that in higher concentrations, it can produce some adverse effects, particularly for those with breathing issues. Also, the ozone smell can make some people feel sick. So, a good ozone generator is going to need to be able to carefully monitor the output to avoid it from being too high. One of the oldest forms of air purification is HEPA filters. These filters consist of various fibers entwined together. Then, the air in the car is forced through the filter, capturing small and large particles alike. The air that comes out of the other side is cleansed and fresh. Now, one of the benefits of this type of filter is that it is incredibly effective. This is because it physically removes the dirt and debris from inside the car’s environment. Not to mention, it does so on a consistent basis. This is what makes this type of filtration great for people with severe allergies. At the same time, the filters in such a system need to be replaced quite often, depending on the level of dust and fur in your car. This can be a little frustrating to do and also means that you have to keep spending money on your air purifier. With car air purifiers, you have several charging and battery options to choose from – they can either be plugged in at all times, have rechargeable batteries, or have replaceable batteries. 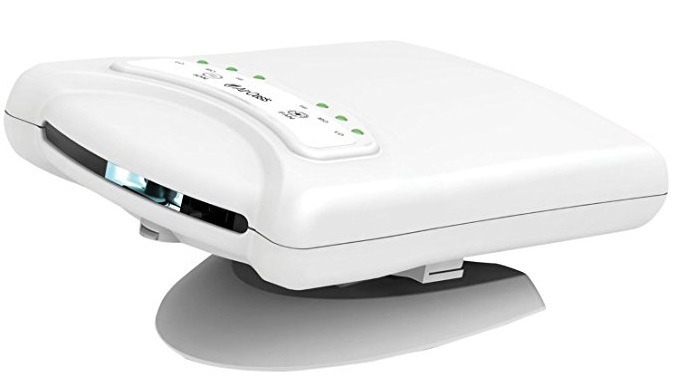 Now, the obvious advantage of a purifier that can be plugged in is that you don’t have to worry about charging it or it running down its batteries. This can save you both time and money, particularly in the long run. However, many of these types of air purifiers tend to be quite small or less powerful as there is a limit to how much power they can draw in. So, they may only be suitable for smaller vehicles. Then, there are the rechargeable batteries. Since they have their own power source, they tend to offer up a greater amount of purifying action. They can also be moved around with ease so you can quickly take it from one vehicle to another. Of course, the downside is that if you forget to charge the purifier, you aren’t going to get much use out of it. Replaceable batteries mean that you don’t have to worry about running out of power as long as you have backup batteries on hand. Now, many of these purifiers rely on cell batteries so it takes quite a while before they run out. However, this does mean that you are still going to have to keep buying batteries which means that you will have to continue buying batteries. The next thing to think about is how the purifier can be fixed onto the car. Some are small and compact enough to be attached to the car adaptor or the cigarette lighter in the car. Others, however, are larger so you need to think about how they will be attached to some part of the car. In this instance, you should look for devices that either have clip-on features or come with an adhesive base. 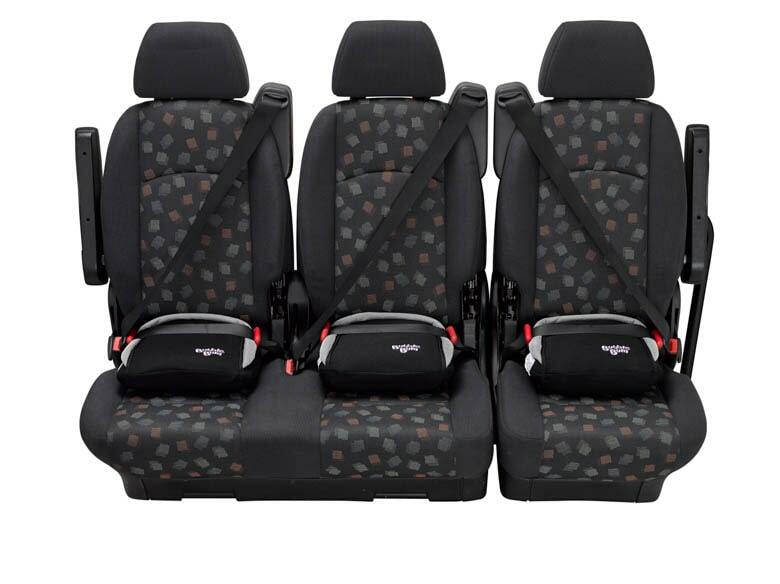 This makes it a lot easier for you to keep them secured to a flat surface while you are driving around. Either way, the main thing to remember is that you can find a quick and easy way to have the purifier stabilized on your car. Once you have taken care of the basic features, it is time to think of any additional options that you might like on your air purifier. Now, most air purifiers are incredibly simplistic in their function. You simply power them up and they filter or release ions. If you want more control over these operations, then you are going to need to look for a model with settings. These are usually related to the fan function or the strength of the filtration or output. This way, you can customize the settings based on your vehicle, the air quality, or the level of freshness that you are looking for. Another thing that you may want to look for is an air quality indicator. These aren’t found on all purifiers but can be incredibly useful. See, these tell you whether the air inside your car is clean or not. This is typically done with the help of LED lights that indicate the level of sanitation. As you can imagine, the main perk of such a feature is that you will be able to determine whether or not the system is actually working. Vehicle Size: If you have a larger vehicle, you are going to need a more powerful air purifier. Look for ones that are specifically designed to be able to target and clean larger areas. This will ensure that the entire car is kept clean and fresh. Your Health Risks: in the end, it is important to choose the purifier that is right for you. So, if you have asthma or severe breathing problems, look for purifiers that are able to completely remove the debris from the interior of the car. The more medical problems you experience, the stronger the purification system needs to be. Environmental Hazards: let’s face it, in some areas the air is just a little dirtier or dustier than in others. So, you should always think about the area that you live in or drive through prior to choosing a make and model of the purifier. If you don’t encounter many pollutants then you can go for a purifier that focuses on removing odors. However, if there is a greater risk of allergens you need one that is great for removing dust and debris. This concludes all the things you need to be aware of when choosing a car air purifier for yourself.